I’ve decided to share my skincare routine with you for a few reasons. For one, I have a few skin issues that some of you might also be dealing with. Secondly, it’s something that I’ve been working on for a while and trying to make better and simpler. This means that hopefully, other people might benefit from a few things I’ve learned, but first and foremost from the cruelty-free products that worked for me! My face is sensitive and I have mild rosacea. I have combination skin (dry cheeks and relatively oily t-zone), and I’m also prone to the occasional hormonal breakout. I try to keep things simple. My morning skincare routine consists of 3 steps: cleansing, moisturizing, and applying sunscreen. I then apply foundation and go through my usual makeup routine. In the evening, I also go through 3 essential steps: removing my makeup, exfoliating, and using a serum (and moisturizer on top of it). In addition to this daily routine, I also like using a mask once or twice a week. Cleanser: I use a gentle cleanser in the morning, and not my usual makeup remover. I prefer something that doesn’t make my face feel dried out; gel cleansers typically make my face feel tight and dry after using them, so I avoid those although there are exceptions. I also don’t use anything like soap (including liquid Dr. Bronner’s, pH of 8) to wash my face. Currently using Paula’s Choice Skin Recovery Softening Cream Cleanser which works great for me in the winter. Burt’s Bees Radiance Facial Cleanser has also worked well for me and is inexpensive. Moisturizer: I generally look for something that’s hydrating and doesn’t clog my pores. 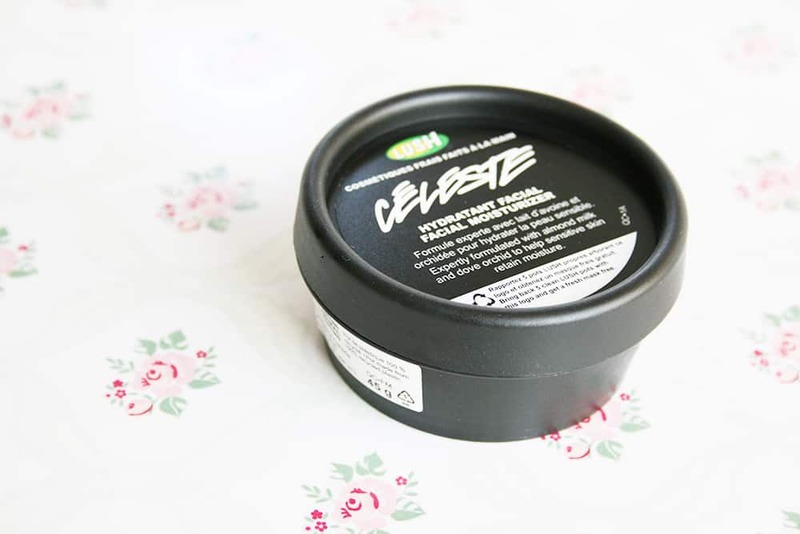 I’ve recently gone back to using Lush’s Celestial (reviewed here) which is super-moisturizing and has worked great for my sensitive skin in the past, but I’m starting to feel like the Cocoa Butter, Almond Oil, or Cetearyl Alcohol might be too much. I’m on the hunt for a new moisturizer. Pai and Acure seem to have some good moisturizers I might give a try. Sunscreen: I wear sunscreen under my foundation every day, with an SPF of at least 30 — you can read my post about the importance of sunscreen here! Right now I’m loving John Masters Organics Natural Mineral Sunscreen. Makeup Remover: For this step, I generally use a cleansing balm or a cleansing oil. This removes all of my makeup without drying out my skin, and leaves it feeling clean and soft. I’m currently switching between the Elizabeth Dehn Vitamin B Enzyme Cleansing Oil and Corpa Flora’s Beauté Divine. Both have a Sunflower Oil base. Exfoliator: I only use chemical exfoliators and no scrubbing beads. Two common options are Lactic Acid and Glycolic Acid. Lactic Acid is somewhat more gentle, and a product I would recommend is Silk Naturals 8% AHA Toner. 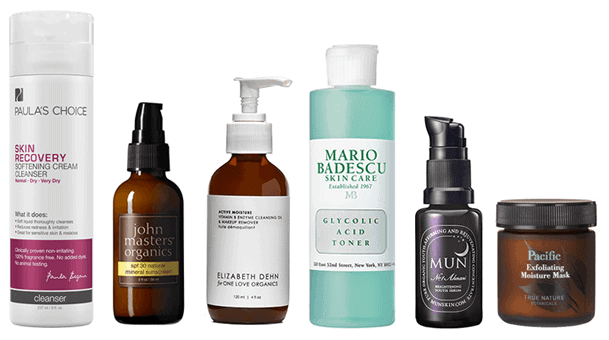 Right now I’m using the Mario Badescu Glycolic Acid Toner. Serum: This is often the last step of my evening routine. I’m currently using Mun’s No. 1 Aknari Brightening Youth Serum and totally loving it! Stay tuned for my review. Mask: I’m a huge fan of Ren’s Glycol Lactic Radiance Renewal Mask, but lately I’ve been using the Pacific Exfoliating Moisture Mask by True Nature Botanicals and absolutely loving it. I thought Mario Badescu had a store in China? They have a store in Hong Kong but no stores in mainland China. 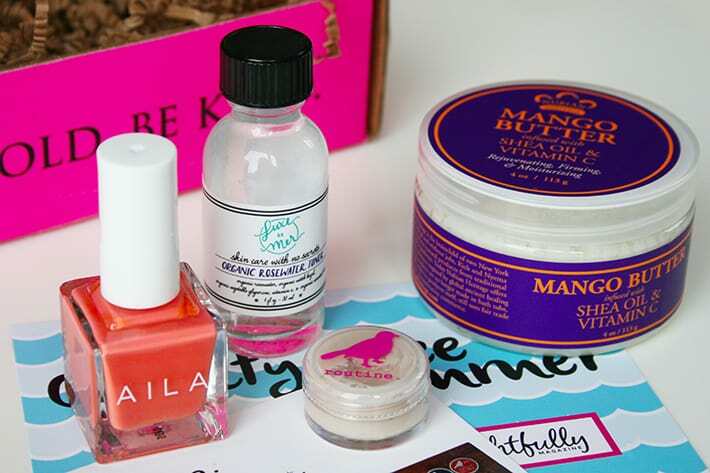 I would like to know if these skincare products all cruelty-free? How can the burts bees cleanser be cruelty free when it has royal jelly from bees in it? What are your thoughts on Alba Botanica’s hawaiian 3-in-1 (makeup remover, cleanser, toner) clean towelettes? 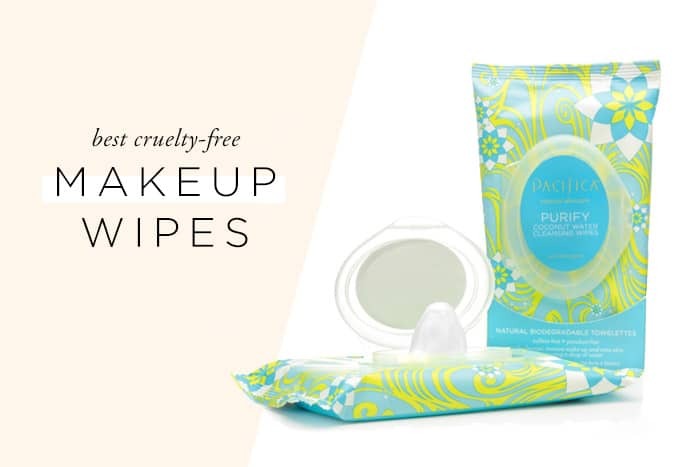 I don’t ever use makeup removing wipes because they’re unnecessarily harsh for your skin! Before! But I don’t use an exfoliant if I’m using a lactic acid mask that evening. Hey Kaitlyn! For Korean brands, take a look at the top 2 sections of this graphic. Some of those brands might still be sold in China so be sure to verify. I’m in the process of creating a K-brands list but it’s not easy because of this! Hope this helps though. Also, if it’s easier – do you have any personal recommendations for the sort of products I’m looking for that aren’t necessarily K-Brand? I would love to hear your thoughts! 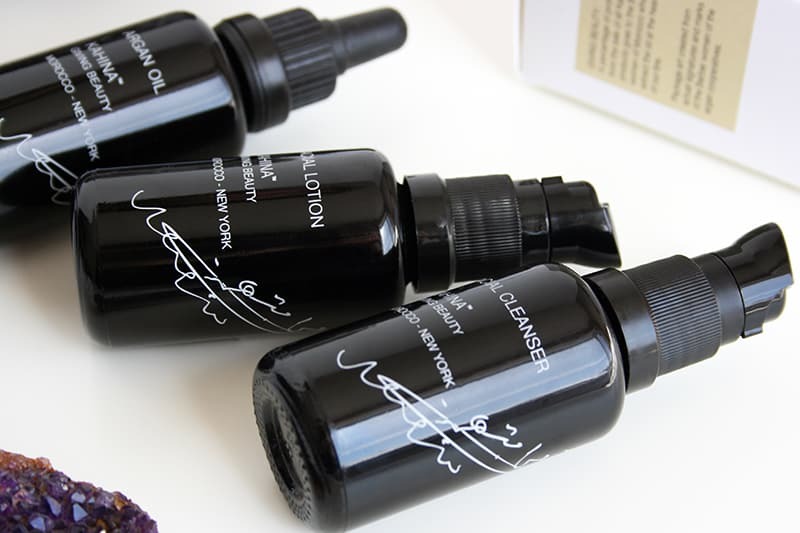 – For cleansers, I use a lot of more “natural” brands and these are often cruelty-free. I just started using jojoba oil as a makeup remover. – For toners, it depends what you’re looking for. I think Pixi makes a good glycolic acid toner. Awesome! The toner I am currently using is one by Ciracle that I’m really loving, and claims to be “anti-microbial”– it’s marketed as the Anti-Blemish Toner. I’m not 100% sure of the ingredients, but I do know it helps prevent excessive sebum, inflammation, and helps to exfoliate pores. Does the one by Pixi do similar things as far as you know? If it exfoliates and helps with inflammation, then yep! Hi Eileen! Thanks for stopping by. 🙂 My products have changed so I might post an update once I get back into it.